The confused outcry is understandable given Nintendo’s famously conservative attitude and historical reluctance to let third parties get their hands on Mario. Not even Yuji Naka of Sonic The Hedgehog fame could convince them when he pitched an action platformer crossover some years ago. Speaking to our sources at Ubisoft, we have attempted unearth more rumoured details about Mario + Rabbids Kingdom Battle and shed some light on how it came to be. By all accounts, development on Kingdom Battle got off the ground around three years ago. Contrary to what some have speculated, it doesn’t appear to have been a case of Nintendo approaching Ubisoft. Our sources have consistently told us that the project is Ubisoft’s brainchild. It began life as a proposal that went through the standard pitching process one has to go through to get a game made at Nintendo, including a presentation to their higher ups. It isn’t yet clear whether the project was always intended to be a Nintendo Switch game, but there is evidence to suggest otherwise. Multiple Ubisoft sources have claimed to have seen functional prototypes of a Wii U version of the game at various points in development. Given how long the game has been in the works for, it’s entirely possible that it was proposed originally as a Wii U title before Nintendo saw fit to give it a prime spot in the Switch’s first year line-up. According to the recently leaked documents posted by NWR, the game is being made by both Ubisoft’s Paris and Milan divisions. However, we have heard that the core creative direction is being handled by developers in Milan. From talking to a handful of those involved with it, there is a prevailing sense of Nintendo letting go of the reins with the project. Their involvement with it isn’t as controlling as you might imagine. While representatives of the ‘Big N’ are closely overseeing it and their approval is required for anything concerning the use of their characters; even the most outlandish ideas from the developers have been met with little resistance. Nintendo is letting Ubisoft play freely in the Mario sandbox with few restrictions and that creative freedom is evident in just about every aspect of it. Take, for example, the game’s slightly twisted sense of humour. The title from what we’ve heard is laden with surreal, self referential gags and Ubisoft staff argue that it works fairly well in context. In one of the prototypes seen earlier in development, one source recalled a hulky Donkey Kong themed rabbid serving as one of the first boss encounters. The rabbid has access to a pile of bananas that it can use to replenish its health. Players are required to first cut off his food supply to prevent him from recovering before they can do some real damage. The DK rabbid apparently will dab periodically if it lands an attack correctly (a possible reference to DK’s dab from Mario Kart 8). Once the boss is defeated, one member of the player’s party, a rabbid cosplaying as Princess Peach, takes out a smart phone and nabs a selfie with the DK Rabbid as it collapses. The game isn’t all weird in-jokes and meme humour, however. There appears to be a fair deal of substance to its mechanics. The 8 playable characters each have an individual skill tree of sorts through which they can develop their own special abilities. Each of them start with a base skill that they can later improve, in addition to learning new ones. For example, Mario has a passive ability which enables him to automatically fire at an enemy if they enter his field of vision during the enemy’s turn. Some of these powers are common across multiple characters, but the unique ones like Peach’s powerful ability to inflate enemies using a foot pump until they explode adds a layer of strategy to the game. Players will have to take care when considering where to place each character. 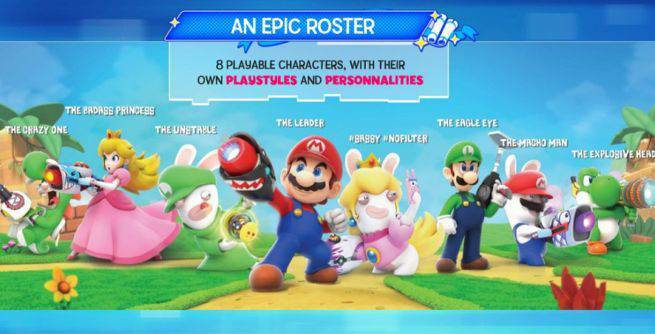 If its in-development prototypes are any indication, Mario + Rabbids is set to offer a decent amount of content outside of its 20 or so hour long campaign. Sources recall seeing indications that an online suite was being tested several months back, although this mode was inaccessible in the aforementioned test builds. At the very least, we know the final game is set to offer 2 player co-op locally in some capacity. An additional mode named ‘Arena’ was spotted in the test UI, too, which promised some local co-op action. 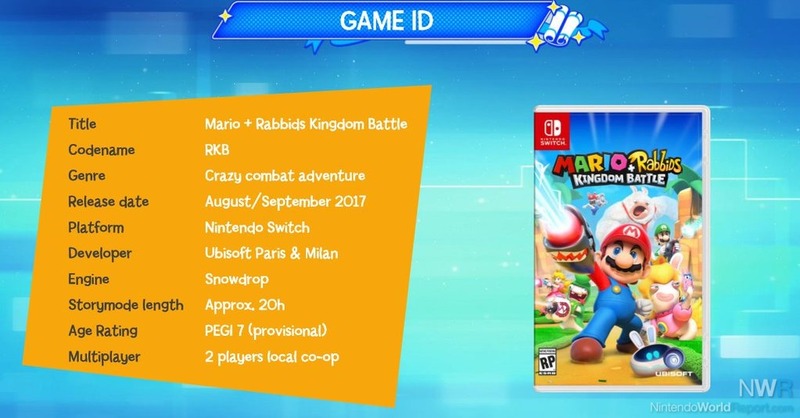 Slide 4/4 – Mario + Rabbids amiibo? There’s also some interaction with Nintendo’s amiibo planned by all accounts. One source provided evidence that prototypes feature a mode dubbed ‘amiibo machine’ - the functionality of which isn’t yet clear. We’ve heard from multiple sources that Ubisoft has been producing prototype figurines of some of the game’s characters. It’s possible that these are for a potential Kingdom Battle amiibo line given their apparently similar size and look, but we are unable to confirm that. 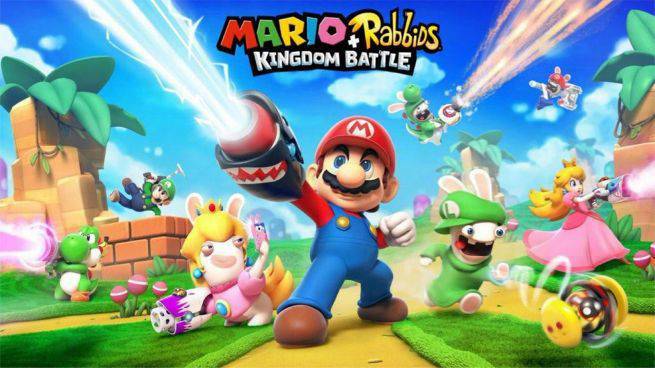 Ubisoft’s Mario + Rabbids Kingdom Battle was originally intended to be unveiled during Nintendo’s January Switch event, but was pushed back to receive further polish. The title is currently set to be unveiled at E3 2017. Its release is scheduled for August, although it may slip to September depending on how the final months of development progress.